Taxila lies a few km’s from Islamabad it is the modern form of Takshashila was the centre of Gandhara civilization during the first millennium BC and first millennium AD. It was the seat of inspiration and learning that gave its real expansion to Buddhism in the first millennium AD. Great Mauryan King Kanishka who embraced Buddhism, developed his capital as the centre of spiritual enlightenment. It was from here that Buddhism spread to the eastern regions through the northern valleys of Karakorum, Himalaya and Hindukush. Buddhism is just one aspect of Gandhara. One can find lively impressions of the Romans, Greeks, Huns, and Iranians. 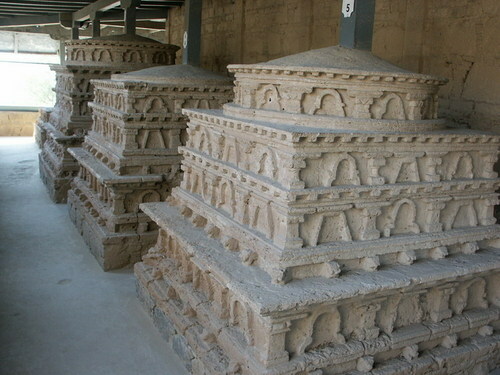 While Alexander the Great came here from the west, Famous Chinese pilgrim Xuan Zang came from the east.